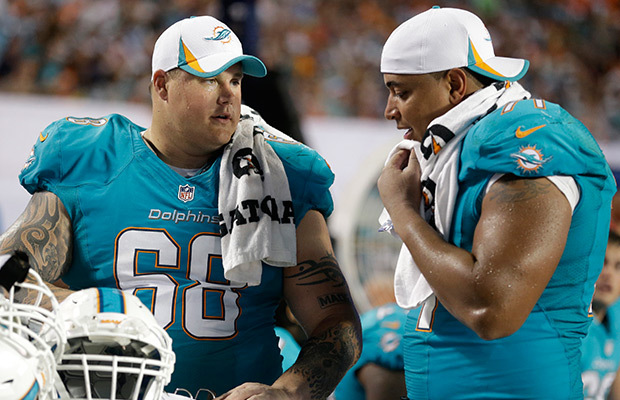 As many sports fans are witnessing unfold in the media the past week or so, Miami Dolphins offensive lineman Jonathan Martin was bullied and harassed by fellow teammate Richie Incognito, using racist expletives and death threats. And last week, Martin had finally taken enough, and stormed out of the Dolphins food court unexpectedly, never to return. If you haven’t read the horrifying voicemail left by Incognito for Martin yet, here it is. Bullying is a huge problem in today’s world, as for years in history, it was considered “ok” to haze others as a “right of passage” of becoming a man. Even for women, girls are harassed on a daily basis, and it is pushed under the rug, because it is thought to be the norm for people to create leaders for social groups, and to practice the “survival of the fittest” mentality. But America has never seen such a vile, horrifying, and racist act on a national stage like this, such as of the Miami Dolphins Football Team. While all fans and players alike are seeing this issue as something that needs to be addressed by all levels in society, whether it’s a third grader making fun of a classmate with a speech impediment or a 300 pound grown man on a prestigious football team, there are actually people out there backing up Richie, saying that it’s not all his fault Martin had to deal with the bullying. Some even go as far as saying that it’s all part of an “initiation” to the team. Well, not quite, guys. Though rookies in the NFL are expected to carry veteran’s pads, or pay for a dinner for the team, no one should ever be subject to what Martin endured, ever. 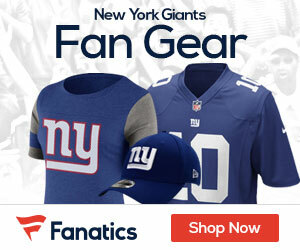 Now a leader of the New York Giants, Captain Antrel Rolle, has decided to criticize Jonathan Martin on how he handled being harassed by Incognito. This is absolutely unacceptable of a defensive captain from such a prestigious, model football team to be saying something like that. Come on, man! The New York Giants have had their share of criticism for their incident a couple years ago, when Jason Pierre-Paul decided to throw Prince Amukamara in a ice-cold tub of water, while Steve Weatherford videotaped it and shared it on the internet. And because of that bullying, these Giants players should have an even HIGHER initiative to keep their mouth’s shut when it comes to the harassment of young players on a professional sports team, unless, of course, speaking against it. As a leader and captain, you cannot go out to the media and say that it is equally Martin’s fault for taking the harassment from Incognito. Instead, you are the model for others to follow, and you cannot be defending bullies of the likes of Incognito, as that sends a bad message to the Giants organization and the fans, portraying (accurately or not) of what kind of person and leader you really are. When Brandon Short picked on rookie Jeremy Shockey, Shockey punched him. Brandon said sorry. Nobody messed with Shockey after that. Not everyone is like Jeremy Shockey, Joe.